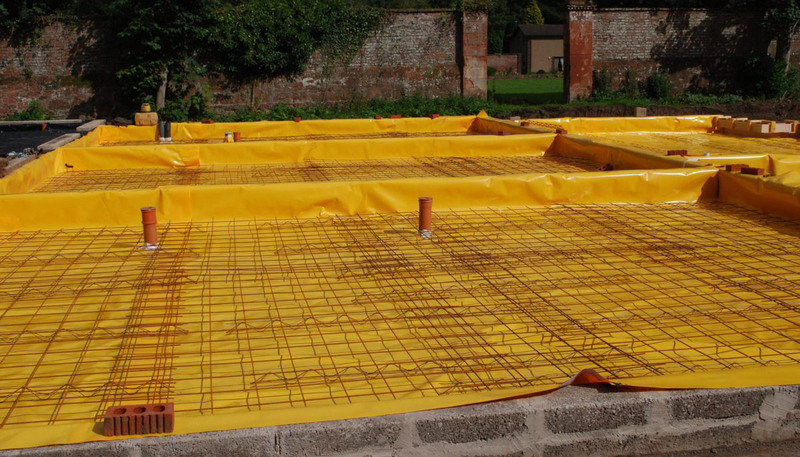 Once you’ve sorted your land, and you have a better understanding of your financial situation, you can really start looking at a programme of works for your Self Build. Being organised at an early stage is crucial, as you want to know who is responsible for each job, and when it is due to be done. Programme and time management are key areas where Self Builders can replace a professional, and save a huge amount of money in the process! However, this is also an area where things can go badly wrong – if you choose to project manage the build, and cannot commit enough time to the task, then important aspects can be missed out, and the potential for issues on site increases dramatically. You should not be scared of taking on this role – as long as you have the time to do so! Most people will have had some experience of running a project of some kind. This might include running a busy family household, organising a team at work, or even carrying out some smaller scale renovations on your property – the majority of people can do it! The main part of forming a programme of works is understanding the trades you require, what the scope of their works is, when they need to start, and when they propose to finish. When you strip it all back, the vast majority of contractors are really only interested in getting the job, completing the job, getting paid and moving on to the next one. If you keep this in mind when programming and negotiating prices, you should be able to work well with them – and have happy workers! Always keep in mind that if you negotiate too far on price (i.e. only consider the lowest price), then don’t be surprised if your contractors push your job back for another one, or that they are reluctant to help when you need a favour! A detailed programme of works will allow you to anticipate when to order materials, and can help you monitor your cashflow forecast. Putting a work schedule together can be tricky, as you need to get all of your professionals around the one table to determine which dates suit each party. So what are the essential elements required in a programme of works? You should split the programming up into two key sections. The first covers the overall high-level planning of the project – from starting with an architect, right up to the site completion date. The second part focuses on the onsite management of the build itself. It’s really important to remember when you start out on your Self Build journey that the overall project may take up to 14 months to complete – and you could add 3-6 months on to this if you have a difficult Planning Approval process! 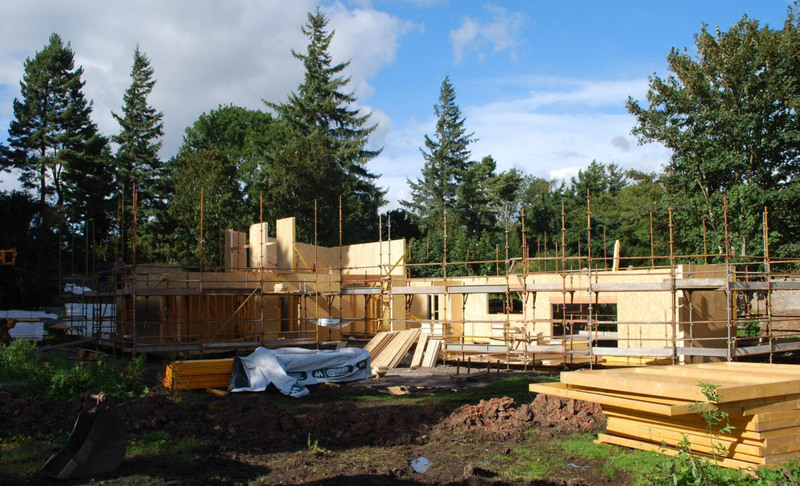 The average Self Build construction time is around 8 months, but this can be completed quicker with the right planning. However, it can also take double the time if you are doing the work yourself! The best way to plan out programme of works for your project is with a simple Gantt chart (see image). These can be created in Microsoft Project or SG Project Pro for Mac. These cost-effective and simple programmes allow you to enter all of the necessary project stages, with associated tasks, and assign each of them with a time value. The tasks are all linked, so if you change the length of time for one stage, it pushes all of the other stages along too. Creating an accurate programme of works is vital, and you should get as much input from all of your professionals as possible. The main milestones that need to be reached, pre-site, are: confirming your initial design, obtaining planning approval, obtaining building standards approval, and completion of the construction drawings. We would always suggest using achievable timescales for each task, as well as working out a completion date from that – rather than working back the way. It isn’t uncommon for Self Builders to pick a big birthday, or to aim for Christmas day as a completion date. This isn’t a great idea; trying to fit everything in – rather than sticking to the actual, realistic timescales – will, without doubt, end in disappointment! One way to reduce the pre-site programme, is to run the Planning and Building Warrant applications in parallel (this can save between 4 and 8 weeks). This should only be considered if you have had pre-application discussions with the Planners, and have a level of certainty of success. Traditionally, you would wait until full Planning has been determined before starting the Building Warrant design drawings. The key to a successfully managed programme of works is accepting that there will be delays and challenges. Giving some room after each stage will allow for most delays – but you must be able to work around problems, and keep the programme fluid! Once you secure the Planning and Building Regulation approvals, you can start to really think about the main part – building your dream home! The main challenge with site programming is working out when trades need to be on site, how long they need to be there, and if they’ll have an impact on the work of other trades. By discussing with your chosen contractors exactly what they are going to do and how long it will take, potential mishaps can be avoided. We would suggest appointing all main trades before you go on site, and get them all around a table for a ‘pre-start site meeting’. The basic trades that need to be appointed (on a standard build) are usually – ground workers, kit manufacturers, roofers, joiners, plumbers, electricians, heating engineers and plasterers. At this meeting you can agree each contractor’s responsibilities, and who they are handing over to. Make sure you minute this meeting, and issue it out to all parties as a record of what was agreed. This minute of agreement can be invaluable at a later date if any problems do arise! So, you have everyone in place, and you know how long their jobs will take and in what order they are due to commence – you now need to add this in to your Gantt Chart. Once you have the dates of when key items start – for example, the fitting of the windows – you now need to look at the lead-in-time for these elements. If you are building with a factory-built kit (like SIPs or Timber Frame), then you will want your windows to be installed straight after the kit goes up. Windows take on average 6-8 weeks to be fabricated and delivered to site, therefore you would look at the end of the kit erection, and go back 6-8 weeks. This gives you the date you must order the windows by! This rule applies for all items, whether it’s big items – like your kitchen, or the choice of external brick. Moving back a step further, the windows need to be ordered from a window and doors schedule (provided by your architect), and this must tie in with the kit manufacturing drawings. Therefore, the importance of completing a detailed programme of works as early as possible is vital! Another key part of programming is working out who can be on site at the same time; you don’t want to have an over-crowded site which slows everyone down. 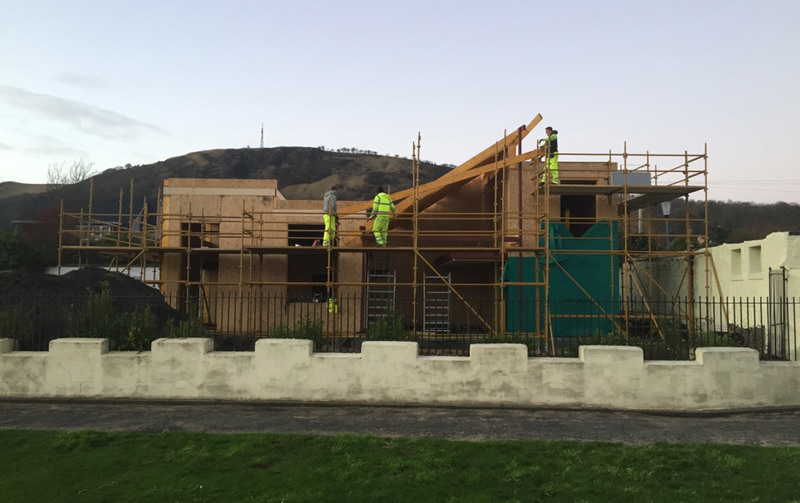 However, with a bit of clever planning, you can have the roofer working on one side of the building, and the joiner fitting external cladding on the other – but this must be discussed with the relevant trades so that they are aware of the situation, and any potential dangers. Internally, plumbers and electricians can work together completing the first fix, but make sure the works are co-ordinated. As you will have appointed all of your contractors individually, it is really important to keep them advised on how the project is progressing – as soon as you think there will be a delay you must inform them! This is so that they can reorganise their other projects accordingly. Keeping your trades happy will make your build easier, and will help the overall process run smoothly. Creating a programme of works can seem scary or daunting, but work with your professional team, and liaise with all of your contractors. The more people that are involved and informed about the programme of works, the easier it will be for everyone to stick by it – and remember, effective communication throughout the project (by all) will eliminate any potential for bigger problems! 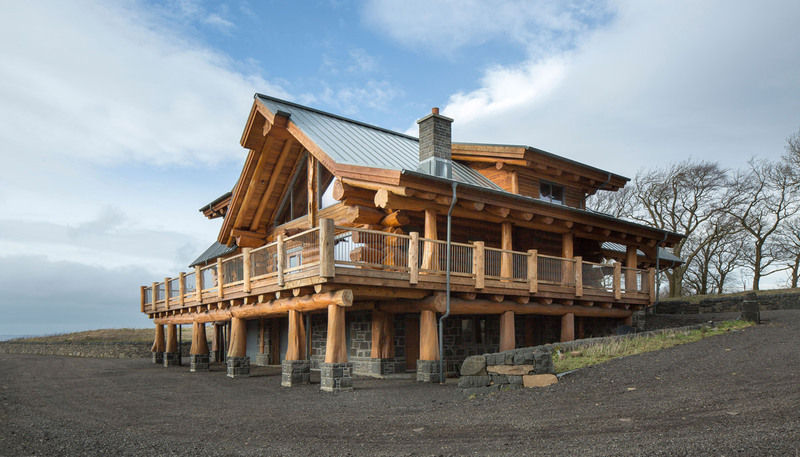 Passionate about promoting the Self Build sector, Allan is a member of the National Custom & Self Build Association (NaCSBA), and is keen to grow the industry throughout the UK – particularly in Scotland. He regularly delivers talks at Self Build Seminars throughout the UK, and is an expert in designing energy efficient Self Build homes. If you would like to know more about creating your programme of works, or have any questions for Allan, get in touch via email, or on Twitter.